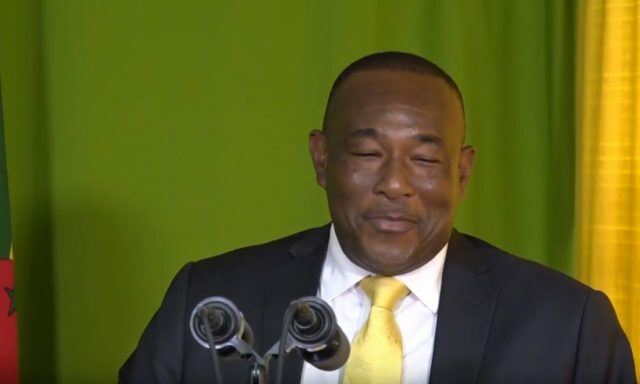 Outgoing chairman of the Agricultural Industrial and Development Bank Martin Charles says he is very satisfied that he was given an opportunity to serve as chairman of the bank and also to severe the people of Dominica. He has however accredited his achievements to the Minister of Finance, the government of Dominica and the staff of the AID Bank. Charles, who will now serve as Dominica’s Ambassador to China says he is looking forward to doing his best to strengthen the relationship that now exists between Dominica and the People’s Republic of China. Outgoing Chairman of the Agricultural Industrial and Development Bank and Dominica new Ambassador to China Martin Charles. Meanwhile Parliamentary Representative for the Roseau Central Constituency and Minister for Urban Renewal Joseph Isaac says the 2016/17 annual report of the Bank shows it has been doing a tremendous amount of work in providing employment, improving business and contributing toward the economic development of Dominica.